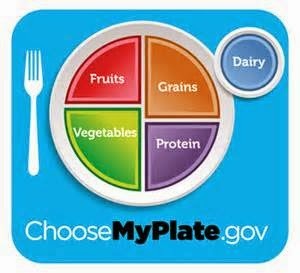 Eating Healthy: This summer new healthy choice rules were instituted by the Federal government to add to the healthy choice rules that were put in place last year. To give a quick history lesson, the Federal government forced schools to serve healthier foods. Those foods had to have a certain nutritional mix. In the beginning many students, especially those who had commitments right after school, found the food did not sustain them until dinner. Schools across the country, including West Genesee, lost money because students were not buying the healthier choices. So last year we brought in a diabetic nutritionist and a group of student taste testers to help revamp menus. Our Assistant Superintendent for Management Services also stepped in to maximize every piece of our food service program. The result? Our food service program nearly broke even. The next step in the healthy choices initiative will be another large challenge for schools. Newer restrictions on sodium, sugar, and fat will severely limit what is able to be served, and many more whole grains based foods will need to be served as well. Some schools are not going to implement these new choices at the expense of the money they receive for students eligible for free and reduced lunch. This is quite a gamble in my view, but I will be watching schools who try this route very closely. 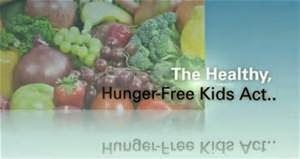 Our own analysis for West Genesee indicates that if we were to refuse to implement the healthy choices initiative, we would have to raise our lunch prices to approximately $4.10 to make up for the government funds we currently receive for free and reduced lunch eligible students. I am watching to see if schools that are refusing the initiative have an increase in students purchasing lunch. If so, then we might be able to modify the plan and take a look at it. Right now though, we are going to work within the rules and see if we can make the new initiative work! the enclosed drainage system being cleaned. 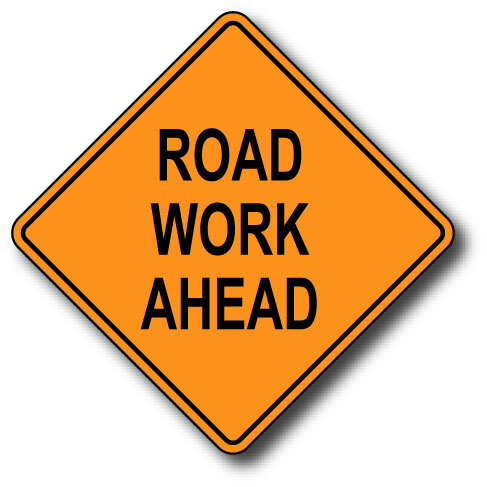 In addition, weather depending, the final top course of pavement will be placed on West Genesee Street between Dunning Drive and NYS 173 beginning this Friday and Saturday, and finishing early next week. One unknown that may affect the schedule, is the condition of the enclosed drainage system on West Genesee Street near NYS 173. The condition of the pipes are currently being evaluated to see if replacement is required (the pipes have not been cleaned yet), and we may either replace them or insert a cured in-place liner in them. If this affects the schedule or requires additional lane closures beyond August 8, we will be sure to let you know. So much for summer being quiet and relaxing around the office! Some wonderful weather in store for this week. Enjoy, and I will post again soon. Someone asked me the other day if I have a business card. When I told them that I didn't, they were surprised and commented that most CEO's love to hand out their business cards with their title. I have made a career of not having to do that. I have been fortunate to establish trust, build relationships, and lead for many years without ever having to say "I'm the boss". I intend to continue that practice. The job itself is very rewarding, enjoyable, and fulfilling. There are times, however, when I have to make decisions that are not popular; but I feel are in the best short and long term interest of the students and our taxpayers. These are the times that you would not want my job. As a school community you are always entitled to know why I make decisions or recommendations. I always go to bed at night knowing that you have all of the facts to agree or disagree with a decision that has been made. A decision that I have recently made involves the high school dance program. Since 2009 the dance program has been a topic of conversation during the budget building process. From 2009 to 2011 we had to lay off a significant number of people due to large reductions in state aid. At the time, dance enrollment was beginning to decline. The classes offered are: introduction to dance, intermediate dance, and advanced dance. I did not recommend eliminating the program at that point because I was not comfortable that the students in the program could obtain their Fine Art credit (each student needs one Fine Art credit in order to graduate) in another way in time for graduation. The dance program numbers have continued to decline (there are 85 total students registered for the dance program for the fall), and we have been able to calculate that there has been a 30% drop in students moving from introduction to dance to intermediate, and another 30% decline from intermediate to advanced. At the same time, our other Fine Arts programs have been growing including: ceramics, drawing, painting, photography, and our performance groups. There has also been interest in expanding offerings to include the graphic arts, which will give students immediate employment opportunities as many of our engineering courses currently do. Add to this the knowledge that enrollment at the high school will likely drop by approximately 300 students over the next three years, and it is clear that some decisions needed to be made. Students who are currently in the dance program would be able to finish the program, provided there is enough enrollment. For this fall, introduction to dance, intermediate dance, and advanced danced will run. In 2015-2016 intermediate dance and advanced dance will run. In 2016-2017 advanced dance will run. For the 2017-2018 school year, I would be asking the Board of Education to eliminate dance. This decision does not take away from the prior success of the dance program and the many accomplishments of the program faculty. I certainly understand that this decision may trigger feelings, emotion, and opinions; and those are all healthy. I always take great care when making a decision and this was no different. That being said, there is always an impact to every decision and that is why there are times when you might not want my job! Over the course of this school year we will also be creating a three-year plan for the high school, specifically as they begin to brace for the decline in student enrollment that the elementary and middle schools have already adjusted for. I will keep you posted. Thank you and enjoy the rest of the summer. Greetings! I thought this would be a good time to check in and let you know how things are going at school. Rest and Relaxation: Hopefully you have found some time to get away or are planning on getting away. If not, there sure are plenty of things to do in Syracuse this time of the year. I had a chance to get away on what will probably amount to our final family vacation. We spent about a week in the south including the Fourth of July on the Mall in Washington, D.C. during their fireworks celebration. 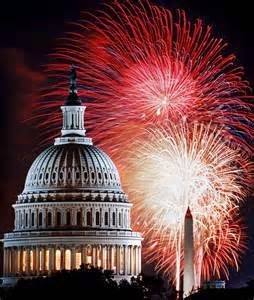 If you haven't had a chance to watch the fireworks at our nation's Capital, it is worth the trip and all of the museums are open and free. Had I known it was going to be as great as it was, I would have taken the family a long time ago. Storms can be Damaging: While I was gone we were hit with the nasty storm that caused some damage, power outages, and general mayhem for about a half-hour. We had to cut down about ten trees between West Genesee Middle School and Onondaga Road Elementary School, and one of our batting cages got pretty damaged. All things considered we were very lucky. Getting Ready for the New School Year: Our buildings and grounds crew and custodians are hard at work getting our buildings ready for the fall, and we have been busy hiring for our vacancies, providing professional development, and recharging. Technology Updates for Communications: On the technology side of things we are getting ready to expand our mobile phone app. So many people have downloaded the app that we felt that upgrading is the right thing to do. We are working to seamlessly integrate cafeteria balances, bus runs, and other pertinent student information over the next few months. When we are ready to launch the different features, I will be sure to let you know. In the meantime if you do not have our app yet, please take an opportunity to download it by going to the Apple App Store or Google Play Store and searching for Parentlink West Genesee CSD. Waiting on the NYS Education Department: The State Education Department is still behind in approving capital projects so we have not had much movement on that front. We are hoping to get some preliminary approvals in the next couple of months. I will write again in a couple of weeks. Until then, try to find some time to relax and enjoy the summer weather.